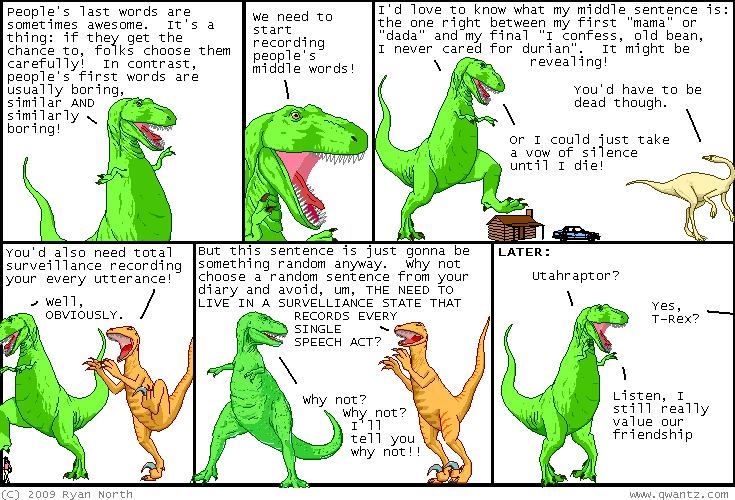 Dinosaur Comics - July 24th, 2009 - awesome fun times! –Everyone, come quick! I'm from the future!! Refresh to see a different out-of-context piece of conversation!